Hello all. 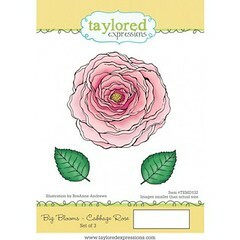 Welcome back to day #2 of Taylored Expressions November Release Sneak Peek. 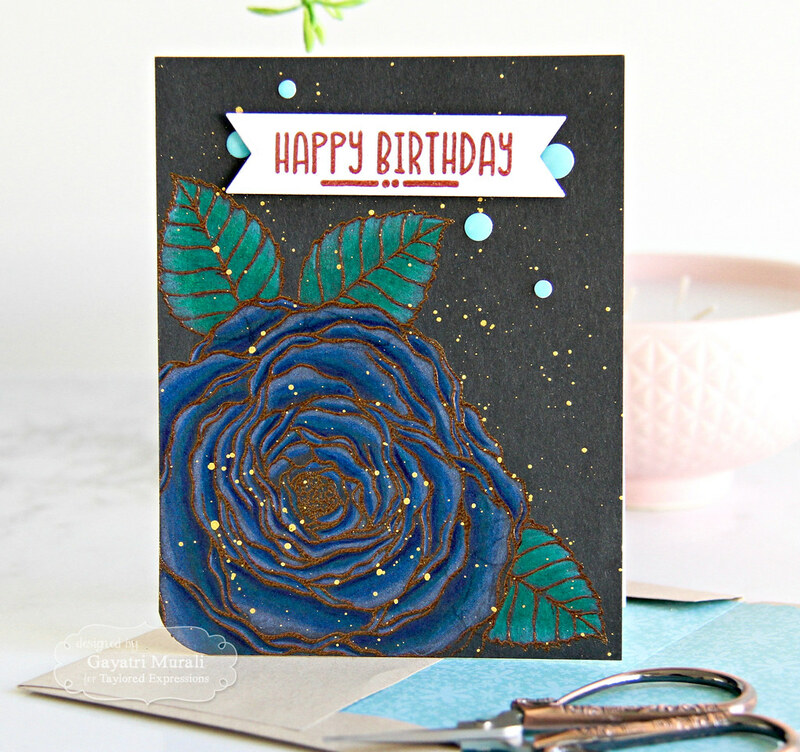 Hope you enjoyed yesterday’s projects with the new Display Easel die set. 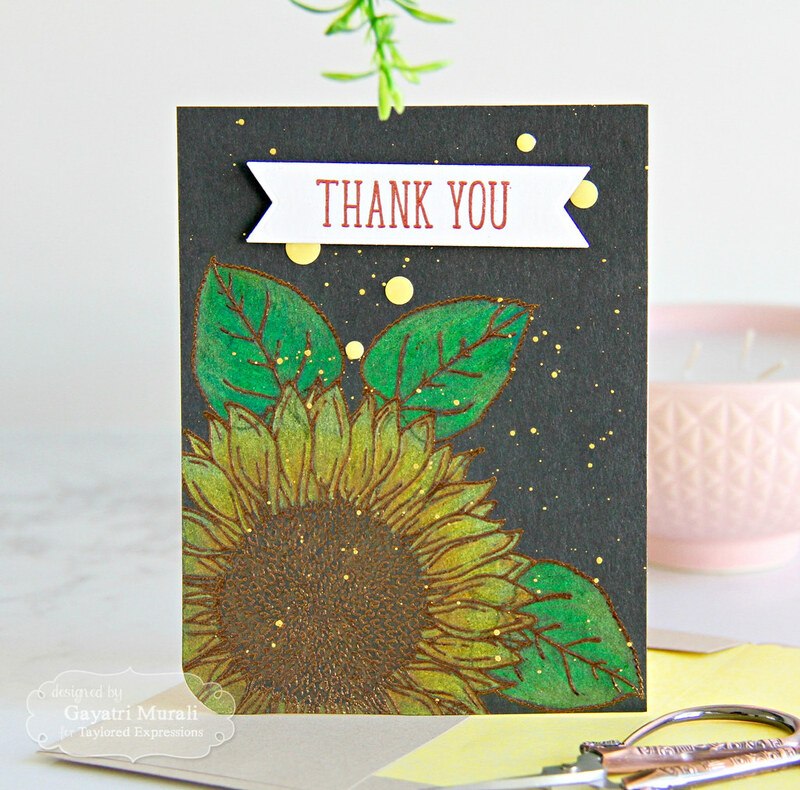 Today I have another set of note cards to share using two new Big Blooms stamp set called Cabbage Rose and Hydrangea and two of the older sets Sunflower and Poinsettia. 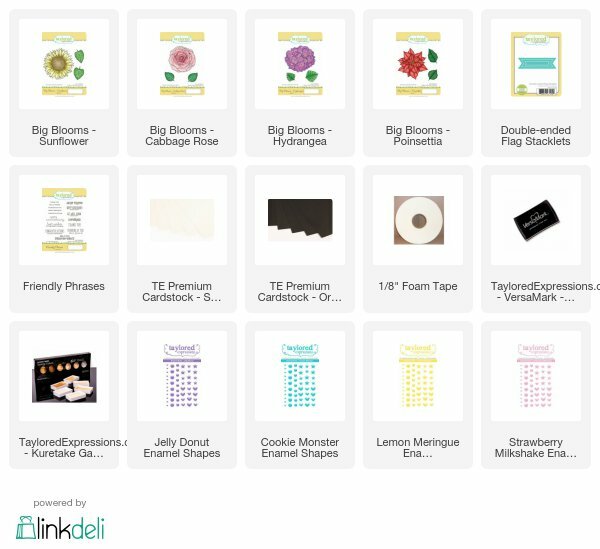 These big blooms stamp sets are gorgeous. Love the size of the flowers and leaves. They can be used with a variety of technique. Colouring is of course is technique to use. I went with my new Polychromos colour pencils from Faber Castell. These pencils have high pigmentation and hence can be used on dark cardstocks. I rose gold heat embossed the four flowers and leaves Oreo cardstock to give the antique look and coloured them using these pencils. I basically picked up three shades of a colour to get depth and shading on the flowers and leaves. The colour blend very well when overlapped. It took me 20 minutes for each panel. Then I spattered the panels with Kuretake Gansai Tambi Starry colours gold mica paint and left the panels to dry. 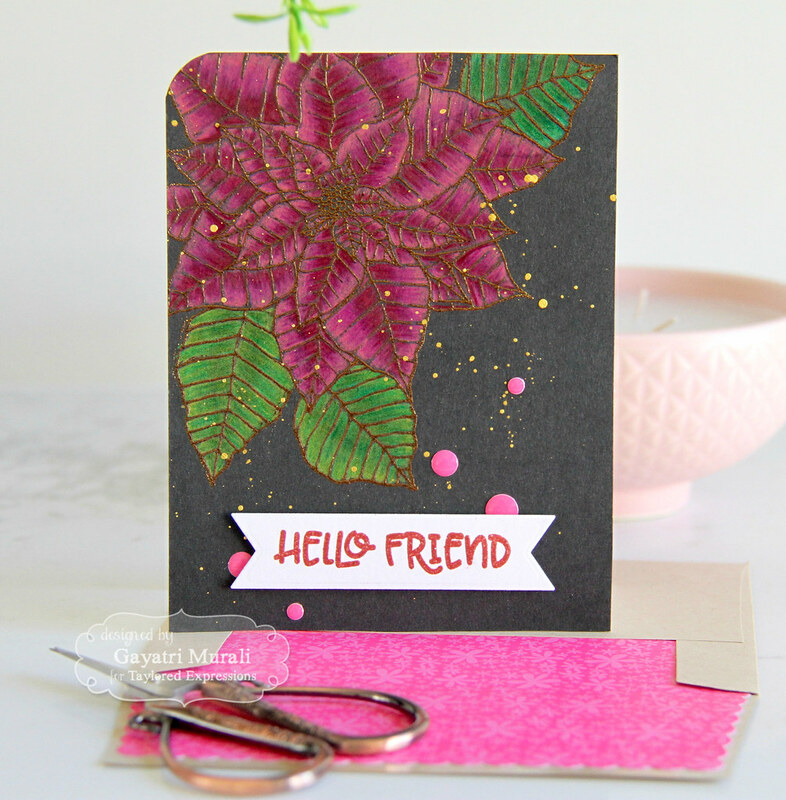 In the mean time, I gold heat embossed the sentiment from the new Friendly Phrases stamp set on Sugar Cube cardstock and die cut them using the new Double-ended Flag die set. I used the middle die in the set. These sentiments banners are adhered on the panel using foam adhesives. The panels are adhered on Sugar Cube card base and rounded on corner only. The card front is embellished with matching enamel shapes from TE. I also die cut envelope liners using the new Envelope Liner die and the new Playful Pattern Bold pattern papers in coordinating colours to line the inside of the Toffee envelopes for the cards. 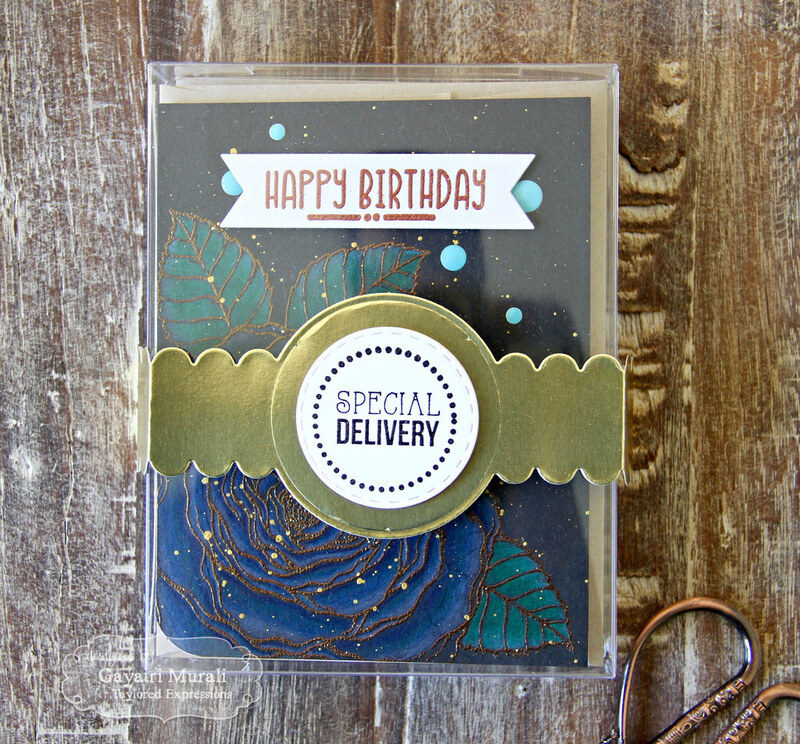 I boxed the cards and envelopes inside the clear box available at TE store and used the Noteworthy Belly Band die to die cut the band using TE gold foil cardstock to wrap around the box. 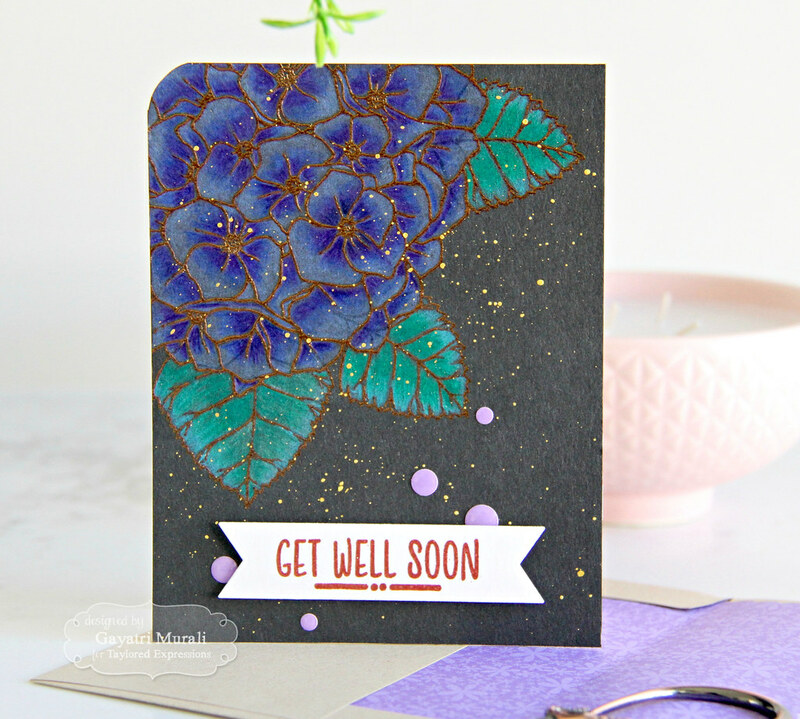 The centre sentiment is stamped from Sealed with Love stamp set on a stitched circle die cut and adhered on the centre. Makes a special gift to a special person. There is no release without giveaways, right? 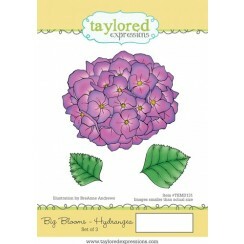 Taylored Expressions is celebrating Release Week with a giveaway during each day of sneak peeks! 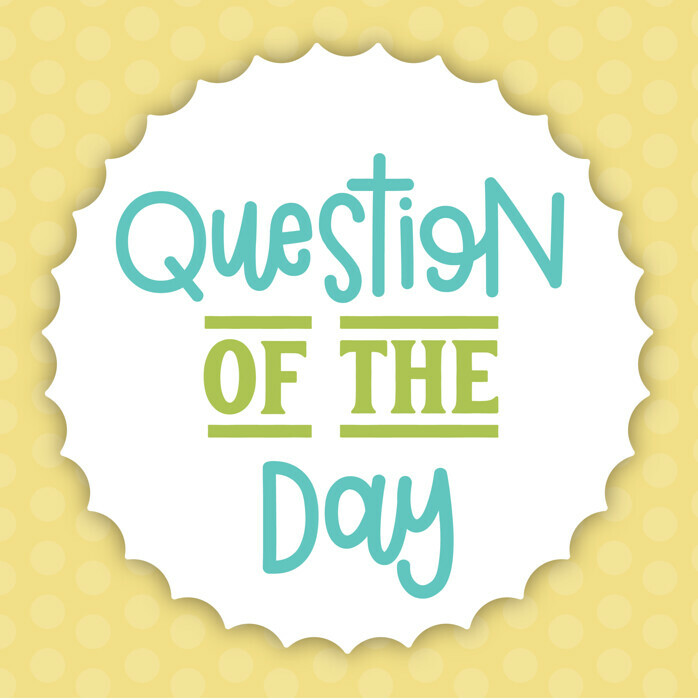 Visit the TE Blog to answer Taylor’s Question of the Day for a chance to win one of the latest products before you can buy it! Check out TE blog for more design team inspirations and we also have a new design team member. Check her out and leave some love. All these new products will be released this Thursday November 2nd. Thanks for stopping by my blog today. See you tomorrow with day #3 sneak peek.